Zooey Deschanel and M. Ward are the duo behind the band She & Him. 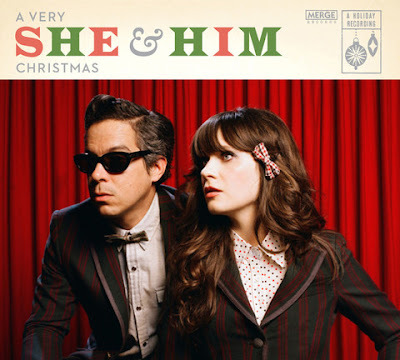 Out now is their Christmas album, A Very She & Him Christmas, which includes the pair performing 12 classic holiday songs. For a little taste, watch below She & Him's recent appearance on Ellen, singing Rockin' Around The Christmas Tree. 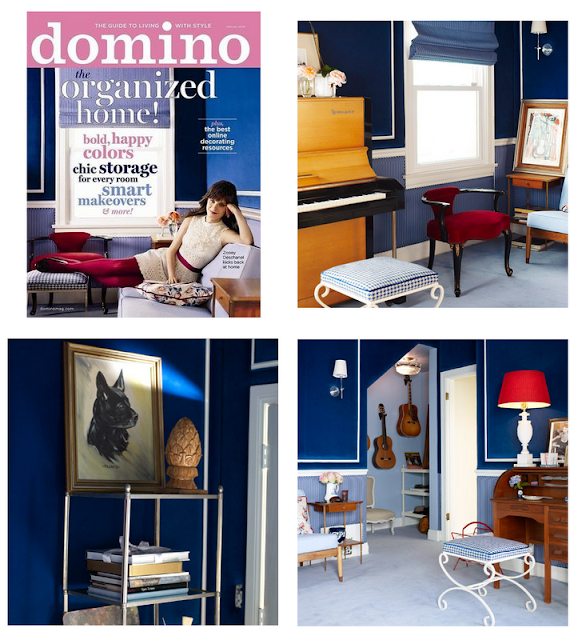 Followed by Zooey's study/music/creative room that was featured in and on the cover of the February 2009 issue of Domino magazine.